Home » Building Muscle » Vegan Protein – How much for fat loss? Vegan protein almost sounds like an oxymoron. Protein mainly comes from animals or dairy, two of the largest eliminations from a vegan diet. 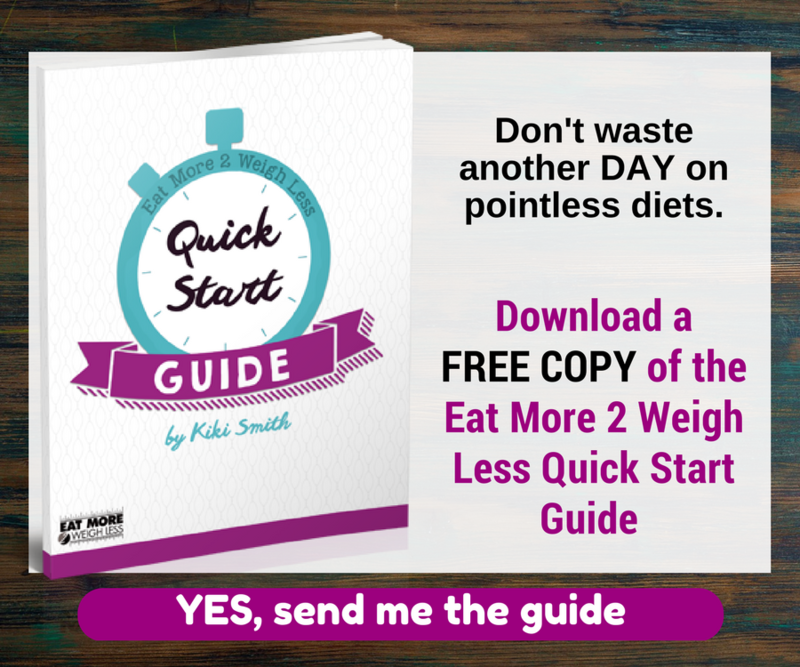 So it almost seems impossible to get the suggested 30% of protein in a day in order to maximize fat loss. Many EM2WL vegans may think that this exempts them from the protein recommendations, but that couldn't be further from the truth. It's no secret that vegans and vegetarians can have a harder time hitting their protein macro. But it is not impossible, nor should it be excusable. Vegetarians have a slightly easier job because they can still eat dairy and eggs. 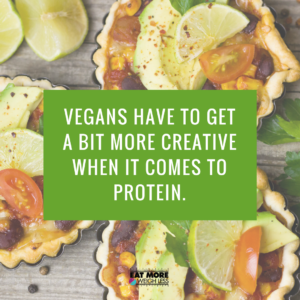 Vegans however have to get a bit more creative when it comes to protein. 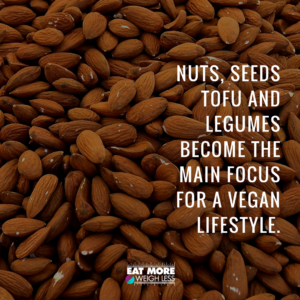 Nuts, seeds tofu and legumes often become the main focus for a vegan lifestyle. These items can certainly help fill in some of the vegan protein gap, but they also tend to have higher levels of fat and carbs attached to them. This means that the ratio can be harder to balance out for those striving to hit physique-specific goals. For example, beans have a high level of protein, but the carb level also increases by 4x. This could mean that the beans carry 10g of protein, but the carbs could be 50 or 60g. This makes it very hard to hit macros such as 40/30/30. Vegans would need to pay closer attention to their vegan protein source, and it's carb/protein/fat ratios to ensure that balance and still maximize their ability to lose fat. Awareness is key. Simply knowing to pay attention in these areas will begin to open your eyes to items that may have been right under your nose all along. For example: many EM2WL vegans have found ways to increase their protein intake with simple swaps of plant based bread products. These give a much higher level of protein than regular bread. These can be a little hard to find locally, but if you are an international shopper you could try ordering from Here. When it comes to balancing your macros, the only thing to keep in mind is that, for fat loss, protein should still hit that 30-35% mark. Vegans actually need to eat slightly more than a carnivore when it comes to getting in protein, simply because of the kinds of proteins they eat. They don't process the same as meat and dairy do. Allow carbs and fat to fall where they may, based on personal preference, so long as the protein hovers above that 30% mark. For a vegan this may take some time, (ok a LOT of time) to work your way up to that percentage, but the higher that level can get, the better off a muscle-keeping, fat-loss-seeking vegan will be. Alternatives for Pull Ups ?